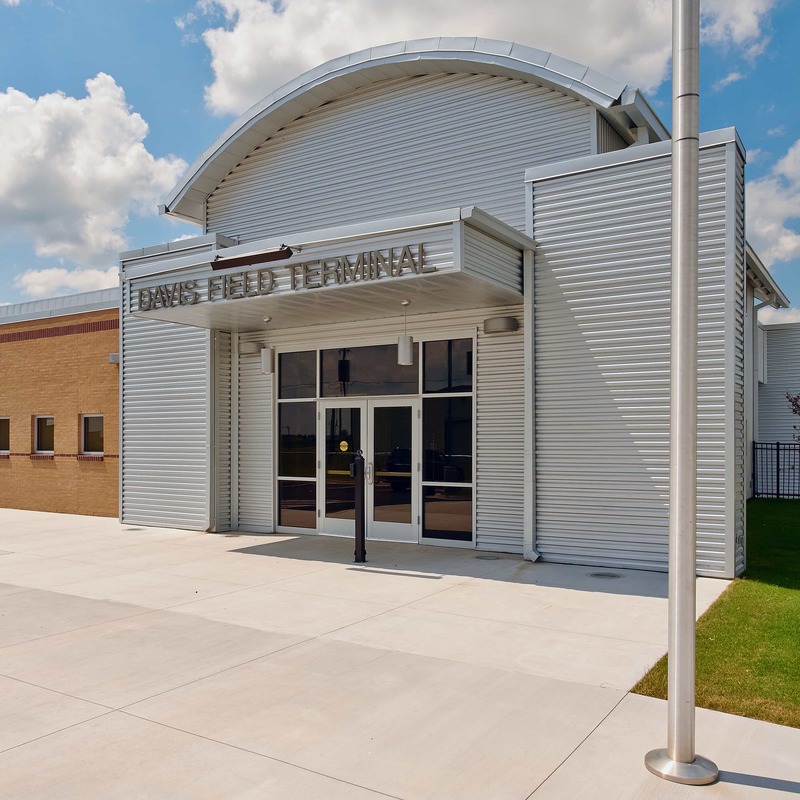 Prior to 2013, Davis Field in Muskogee, Oklahoma, had been in operation without a proper terminal building. The airport has several hangars and an FBO operating on site, but no substantial waiting areas or amenities. This project was designed to create a destination depicting the rich history of the site through its years of service to both military and civilian interests. Wallace Engineering provided structural engineering services for the new Davis Field Terminal. 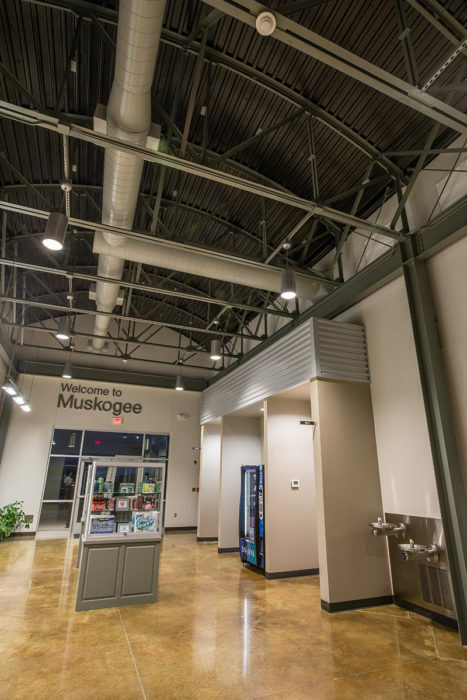 The facility contains required functions, such as waiting areas and dedicated space for pilots to rest and perform flight planning actions, as well as a conference center for use by the airport, community, and the Muskogee economic development teams. The new facility also includes a safe room capable of withstanding an EF5 tornado. 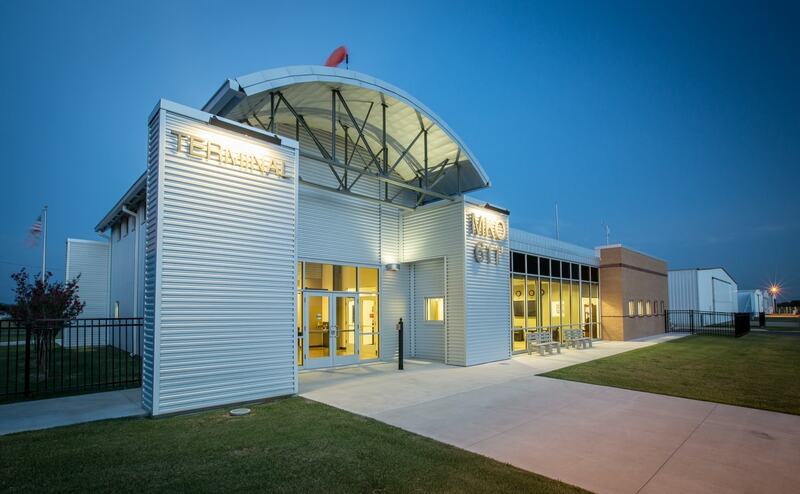 The project received an Architectural Merit Award in 2014 from the AIA Central Oklahoma Chapter.